Broadly speaking the Barrio Gótico (Barri Gòtic in Catalan) lies between the Ramblas and Via Laeitana, and runs down from Plaza Cataluña to the Paseo de Colon at the old port. This is one of Barcelona’s most touristy areas. Being the oldest part of Barcelona the Barrio Gótico has a lot of charm. However the downside to this is that many of the streets are narrow, old buildings often don’t have lifts installed and many properties are in poor condition and need considerable reforms. The narrowness of the streets means that apartments tend to be starved of natural light and noise can be a problem, especially so given the amount of tourists wondering around the area day and night. Much of the area is difficult to access by car, which has an impact on the convenience of living there. It is not a family-friendly area to live in. When the Eixample was built during the 19th Century local people with money moved out of the Barrio Gótico to take advantage of the wider streets and better quality of life that the Eixample had to offer. For much of the last century wealthy locals avoided the Barrio Gótico and the lack of residential wealth meant that the Barrio Gótico became rather shabby and sleazy. 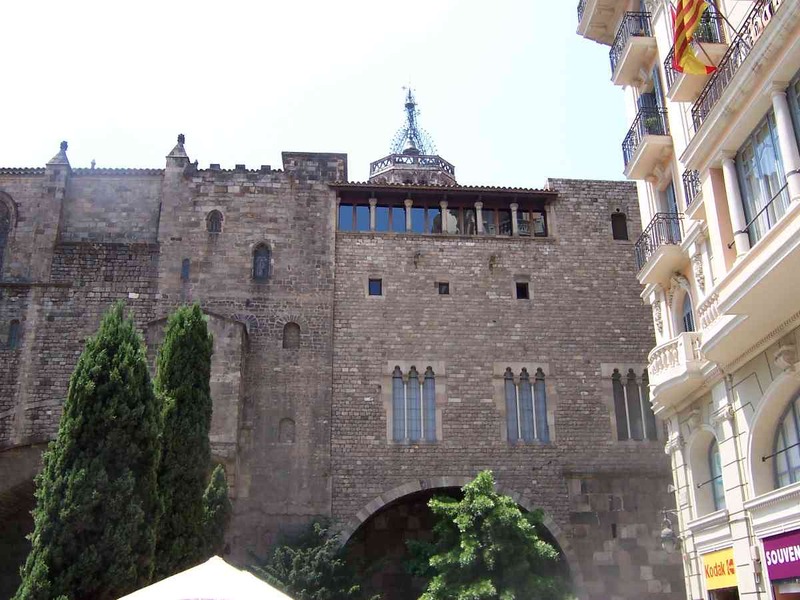 However over the last 10 years the area has been transformed and is now one of Barcelona’s trendiest districts. Hip local professionals such as designers have moved back into the area and foreign buyers, drawn by style combined with old world charm, have had a significant impact on the property market in the Barrio Gótico. Rising prices have gentrified the area and petty crime has fallen, though it is still a problem. As a general rule of thumb the further down you go towards the Paseo De Colon the shabbier the streets and the higher the risk of petty crime. However the quality improves again once you cross Calle Ample. Developers have been at work in the Barrio Gótico though much of the development has been focused on converting buildings into hotels. However private apartments have also been refurbished though prices for these types of properties have risen dramatically throughout the beginning of the decade. We expect the gentrification of the Barrio Gótico to continue as it increasingly appeals to foreign buyers and trendy locals. However the area will not attract families and older buyers due to the noise and inconvenience of living in the Barrio Gótico. This limits the pool of buyers more so than in other areas like the Ensanche.